Cosrx BHA Blackhead Power Liquid is clinically proven to reduce the formation of blackheads and excess sebum and hydrate the skin. With Betaine Salicylate, natural BHA ingredients, It strengthen both skin-safety and effect. Instead of using purified water, It made with White Willow bark water to strengthen both skin-safety and effect. Free of paraben, artificial colorant, artificial fragrance, triethanolamine and phthalein. Cosrx products are mostly packaged in a simple manner, no cute Korean packing here. Cosrx BHA Blackhead Power Liquid is in a translucent plastic bottle with a hygienic pump for dispensing the product. One to two pumps will give you enough product for the entire face, you may need one more pump for the neck area. 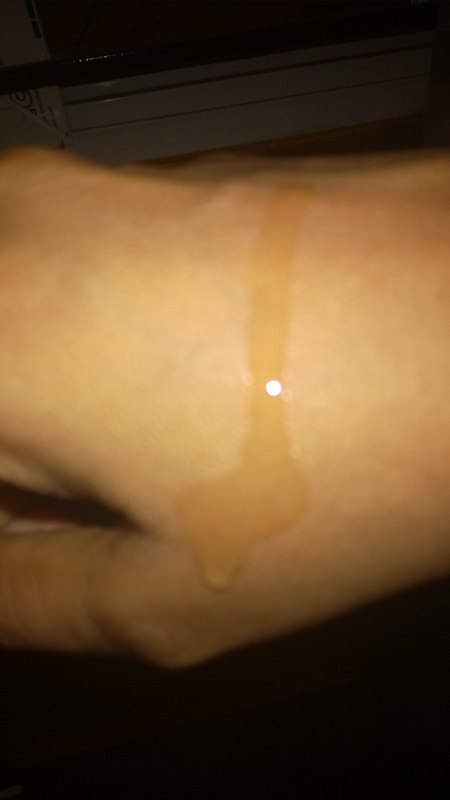 The product itself is watery with a slip to it for easy spread-ability on the face. As far as I have noticed the BHA power liquid is odorless. The BHA power is now an integral part of my night-time routine. I use the product after cleaning my skin with sesame oil to remove my makeup and a AHA based cleanser. One pump of the BHA power is good enough for my entire face. I pat this on my face for a few mins, and wait for 30 mins for the acids to do its magic, After this I use the Benton Snail Bee venom essence and a moisturizer to seal it in. From the time I have started using the Cosrx BHA power I have not had any trouble with new acne and the skin on my nose is cleaning up nicely without too many blackheads. There are no underlying bumps waiting to turn into pimples. My face now feels smoother and the pits and scars left by the acne are drying and hyper-pigmentation is fading! Though I think the fading of scars might have more to do with my Benton essence. I also love the product because it does not dry up my skin like the other acne treatment products I have used in the past. I am very happy with my Korean skin products and think is worth the money. Do let me know if you want me to do a review on my Benton Snail Bee Venom Essence! Price: $15.68 with free shipping! Use this link to get further 15% off! This entry was posted in Acne, Asianbeauty, asianskincare, Beauty, BHA, Blackheads, Cosrx, CTM, Dewy, fresh, Holygrail, Indianbeauty, Indianskincare, Kbeauty, Koreanbeauty, Koreanskincare, life, Review, skincare and tagged acne, asianbeauty, asianskincare, beauty, Holygrail, Indianbeauty, Indianskincare, KBeauty, Koreanskincare, Skincare. Bookmark the permalink. ← Korean skin care & how I have been living under a rock!! !